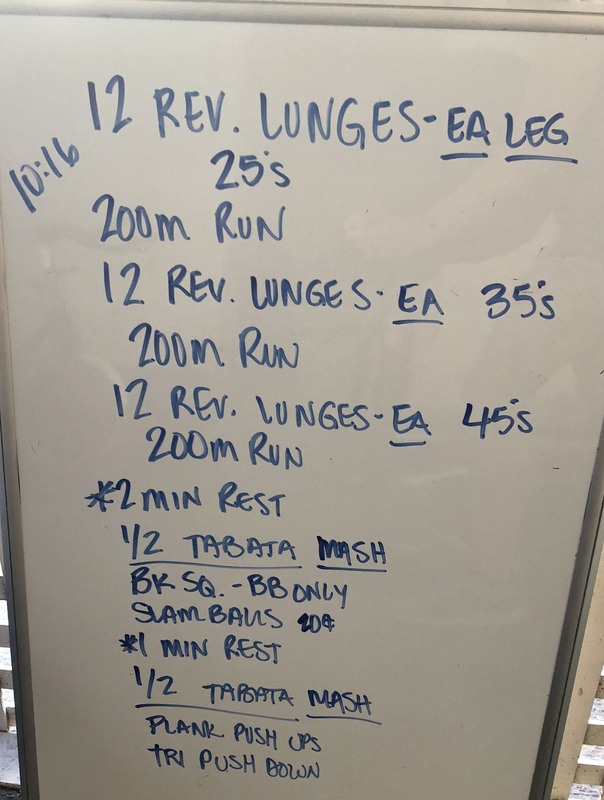 I was short on time this day and really only did 2 mins of that second 1/2 tabata. Lunges have weight hanging to each side and should be heavy since it’s a quick little Metcon to start. It might mean that you need to do short little sets to break up the 24 total reps each round. That first tabata is just hard enough with the barbell, so push the reps each interval if possible. The second one is just a total blowout of the arms.